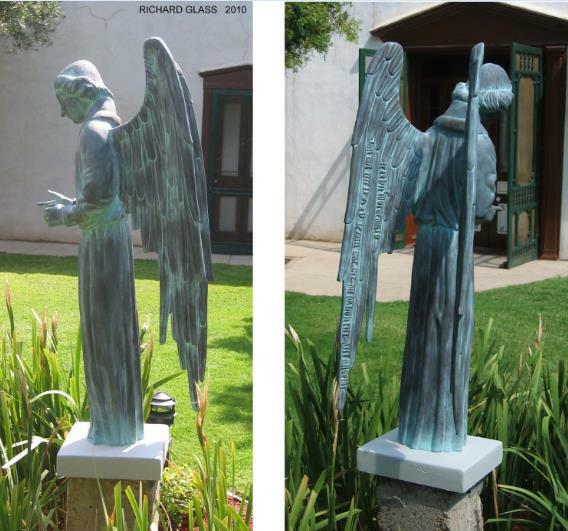 In 2010, Magoffin Home State Historic Site’s beloved and fine plaster statue of “angelot,” or small angel, was painstakingly reproduced through the collaboration between Site Manager Leslie Bergloff and Richard Glass, an established El Paso sculpture conservator. 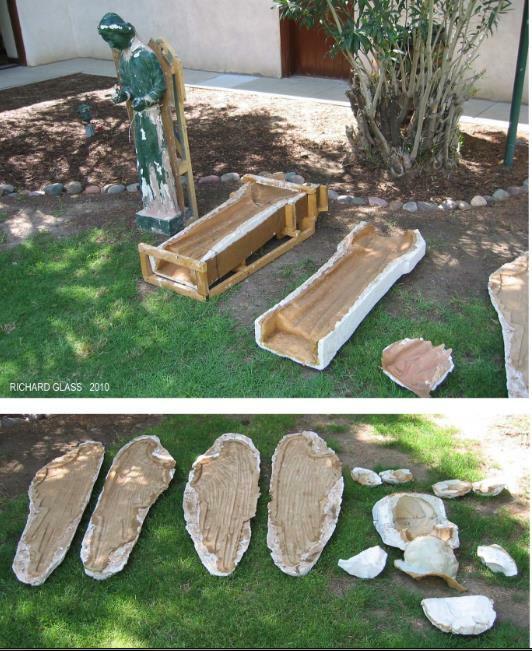 This careful effort took nine months. 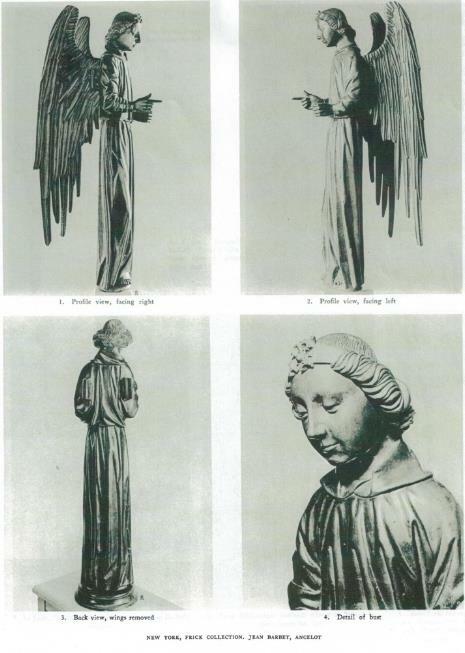 Beginning with a review of oral histories completed in the 1970s and correspondence with curators at the Frick Collection in New York City (where the original is housed today), Bergloff pieced together the angel’s history and was able to supply Glass with images of its original appearance in exacting detail. Members of the Magoffin family, the Glasgows, saw a bronze reproduction of the 15th century angelot sculpture in a park in Paris during a trip to Europe in 1929. Taken by the sculpture’s delicate beauty, they purchased a plaster reproduction of it as a memento of their travels. The original sculpture is a slim, robed, winged male figure posed with its arms outstretched. Scholars have determined the original figure was created in 1475 by the French master craftsman Jean Barbet. Featured at the World Exposition in Paris in 1867, it is a signature example of the Renaissance-Revival design trend sweeping through Europe and the U.S. at the time. In subsequent decades, the sculpture was reproduced several times, eventually becoming part of the Frick Collection in 1943. 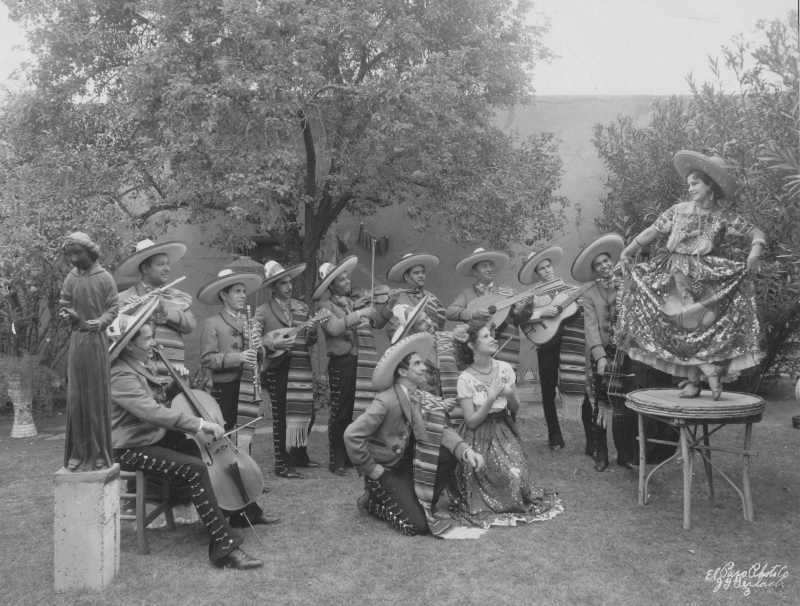 The Glasgows displayed their sculpture in the courtyard of their fine El Paso homestead. But decades of weathering and a series of unsuccessful conservation attempts were unkind to the surface of the sculpture. By 2009, the angelot’s surface detail, structural integrity, and material density were all significantly compromised and nearly beyond repair. The statue’s head, wings, and hand had fallen off. Glass said that when he removed the sculpture from the site’s courtyard for casting that, “It was so old and brittle that it felt like it was just crumbling in my hands like cake." During the reproduction process, the conservator cast the disparate elements of the sculpture—its body, wings, hand, and head—in silicone rubber molds that in turn were used to create a fiberglass reproduction. Prior to and after assembling the reproduction, Glass worked the fiberglass surfaces with Dremel tools, files, grinders, and sanders to recreate the myriad details that were no longer present in the plaster version. Once the sculpture was assembled, he painted the surface of the angel with airbrush, sponge, and brush techniques that mimicked patination remaining on the Magoffin angelot’s wings and base. 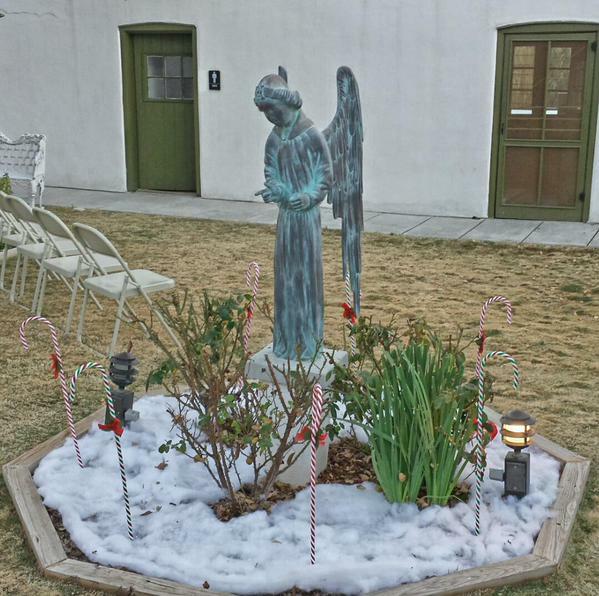 Thus, a pristine reproduction of the Magoffin Home angel once again adorns the courtyard of this important El Paso landmark. The original plaster angel (and its new molds) rest safely in curatorial storage at the Magoffin Home museum. 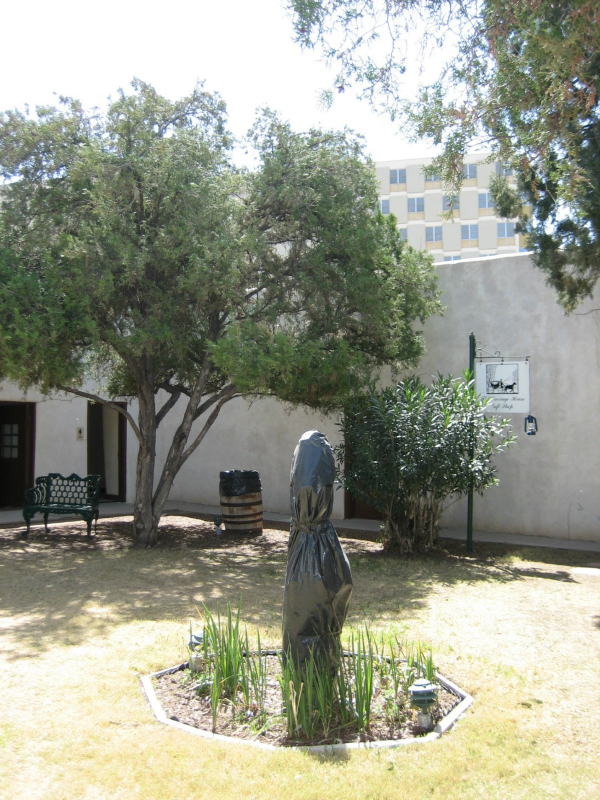 The Magoffin Home is located in downtown El Paso and is part of the Texas Mountain Trail Region. Historic photo of Angelot in the Magoffin Home courtyard, date unknown.